Peel and core pear. Chop into small bite size pieces. 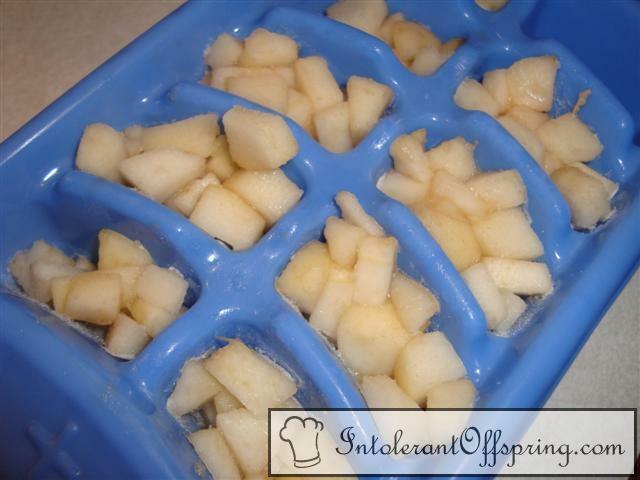 Divide pear bites into icecube trays. Freeze overnight. Pop them out and heat in microwave for fresh pear bites.